Trying to find your tools when you have your hands busy can make your work day a challenge. If you’ve ever put down a tool and then forgotten where you’ve put it, then you understand how much time can be wasted when you don’t have what you need in hand. The best way to always know where your tools are and to increase your work productivity is to wear a tool vest. What Is A Tool Vest? A tool vest is a simple item that will make your life way easier. Comprised of a vest made from a strong and durable material and featuring a range of pockets of varying sizes, tool vests make it easy to wear your smaller tools on your body so that you always have them close by. Tool vests can range in style and function, but the best vests will offer a combination of pockets, loops and clips that allow for close storage of a wide range of tools. Getting the best fit on your tool vest means that you will work comfortably and easily. Work you work long hours and you want a tool vest that will last, not just any vest will do. The Bucket Boss Duckwear Superbib apron is a strong and convenient way to keep your tools within reach. Constructed with durable material with reinforced seams, you’ll get long-lasting use from your vest. Ensuring you have maximum flexibility while wearing a tool vest can be hard enough when it’s empty, but when you have all of your tools in place, a heavy vest will increase the strain you feel on your back. The Bucket Boss apron is constructed from Duckwear fabric and weighs only 18 ounces, making you feel light and comfortable as you wear it. 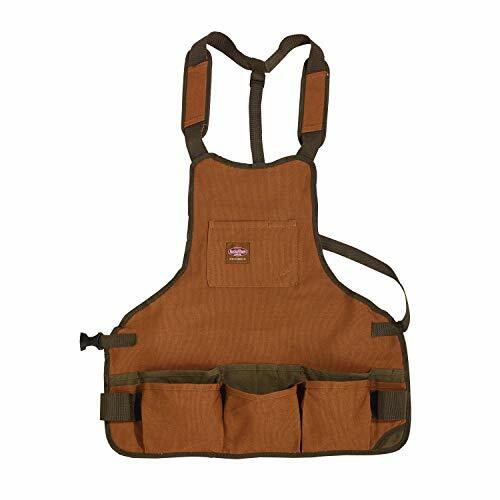 The Bucket Boss tool vest is constructed with sixteen pockets for your tools. With thirteen pockets along the waist and three on the bib, you’ll have somewhere to put every one of your most useful items. This means that you’ll no longer have to reach for things or switch tools out between use. Wearing your tool vest all day can cause strain along your shoulders which can impact your overall health even when you’re not working. The Bucket Boss tool vest is built with extra padding in the shoulder straps, so that you’ll be more comfortable while you work. Comfort throughout the day while working is paramount to your productivity. The Stanley Fatmax tool vest is built to be not only functional, but also to provide you easy, comfortable use without letting you get burdened with your hard work. When you need to wear your tool vest all day, the thick material of the vest can become hot and cause you discomfort. The Stanley Fatmax tool vest is constructed from a breathable material that includes air mesh that ensures proper ventilation while you work. If your workshop is busy, then you may have the risk of safety mishaps due to people frequently moving around. The Stanley Fatmax tool vest features a reflective neon strip that makes it easy for those around you to see where you are, even in the darkest workshops, ensuring a safer workspace. No matter your size or shape, the Stanley Fatmax tool vest is sure to fit. With adjustable shoulder straps made with extra strong velcro and adjustable mechanisms on the waistband, you’ll get a snug fit every time. Working with tools is one frequent use for tool vests, but many people may find that a pocketed vest can assist them with many other tasks. The Hawk tool vest is built for versatility, containing many pocket styles that make it great for many different tasks. The Hawk tool vest is perfect for hours of wear. Featuring a comfortable padded design with reinforced shoulder areas, you’ll be able to carry the heaviest of your tools without causing strain to your body. The adjustable straps will ensure that you get a great fit every time. If you’re looking to a tool vest that can perform well no matter the task, the Hawk vest is the perfect option. 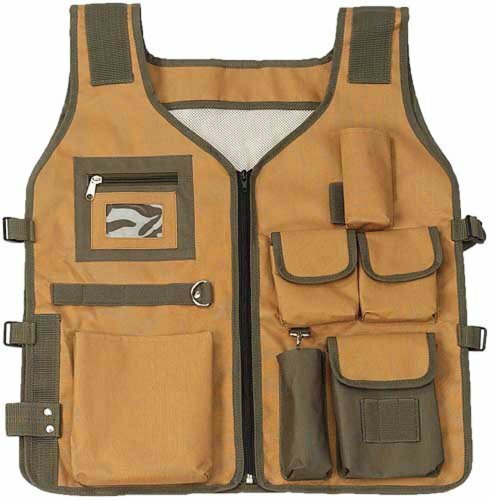 Featuring a combination of large and small pockets, along with straps and metal clips that allow for clipping on the tools you don’t want to use, the Hawk vest is perfect for working in the garage, camping, fishing and other similar activities. Being weighed down by a large tool vest can vastly hinder your performance. The Hawk tool vest is designed as a compact vest, resulting in easier wear no matter your activity. With a full leather lightweight design with breathable mesh inner, this vest is functional and protective. The health of your shoulders and back is the key to a successful and long career when you work with tools. The Occidental SuspendaVest is one of the most innovative and safety oriented tool vest that allows you to carry your weight with comfort and ease. Most tool vests will sit squarely on your shoulders, causing you pain when you work day after day. The Occidental SuspendaVest is designed to spread the weight in a halter style around your shoulders and neck, allowing you to reduce strain and fatigue while you work. While it may look smaller than most tool vests, the Occidental SuspendaVest features seventeen useful pockets that provide storage and support for your tools. Not only can you keep the tools you need close by, but the extra pockets for your cell phone and notepads mean that you have everything on hand to get through your day. When it comes to strength, nothing beats the power that leather gives you. The Occidental SuspendaVest is built with leather strapping, connectors and pockets, which means that you will benefit from the durability and strength that this material is known for. Your work day will see you performing many different kinds of tasks, and for that, you need a tool vest that will work with you. The Holmes Workwear tool vest is designed with many useful features that will make your work day easier. While some tool vests will offer you an abundance of pockets in their design, this can make your movement difficult when you only need to use a few specific tools. The Holmes Workwear tool vest features a tool pouch that you can remove when not in use, affording you more flexibility for smaller jobs. Many work sites require that you wear high visibility work wear. The Holmes Workwear tool vest is fitted with reflective material on the shoulders and body, so that you can stay safe by always being seen in the workshop. One of the most used items in your workshop is your tape measure, but having to remove it from a pocket each time you need it can be cumbersome. The Holmes Workwear tool vest features a nickel tape measure clip that allows you to use your tape measure without having to reach into your pockets. If your worksite has a requirement for hi vis work wear, then a simple tool vest won’t allow you to work. The KwikSafety tool vest is built for this kind of work, allowing you to be seen no matter where you are. 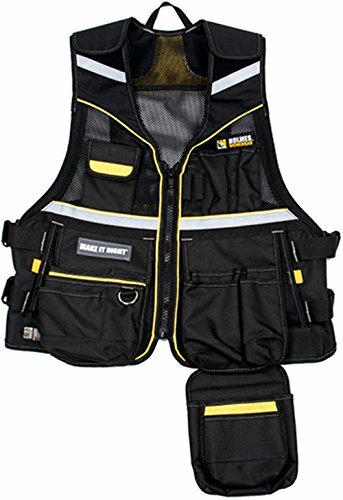 No matter what task you’re performing, be it working on a site, hunting or camping, or even working as part of an emergency crew, the KwikSafety tool vest really lives up to the job. With many multi-purpose pockets including diagonal zippered pouches and a clear ID pocket, there’s no limit to what you can do. When you always need to be seen, there’s nothing better than hi vis. The KwikSafety Artisan tool vest is constructed with a bright orange or blue material which ensures your safety while working. Not only that, but it also contains reflective strips that heighten awareness no matter where you are. While most tool vests feature adjustable straps, these can make it difficult to ensure snugness of fit. The KwikSafety Artisan tool vest is designed in different sizes which make it perfect to tailor to your specific shape. This increases comfort without reducing efficacy. Left handed people don’t have a lot of options when it comes to functional work wear, which is why the Occidental Leather Oxy Pro tool vest is a great addition to your work wardrobe. With the same functionality and strength that you’d expect from the brand, this tool vest makes your left handed life easier. Featuring a wide, open-backed design, the Occidental Oxy Pro tool vest is comfortable and functional. With a balanced weight distribution and focus on air flow, you’ll be able to work for longer hours without overheating. Though it may not be as large as other tool vest designs, the Occidental Leather Oxy Pro tool vest features far more pockets than you ever imagined. With a combination of 28 pockets and tool holders, including strong and sturdy leather additions, you will fit all the tools you need in this very useful vest. The feature that makes this tool vest stand out above the rest is the innovative left handed pocket design. With pockets that make storing your gloves, tape measure, pencils and notebooks along the left side, you’ll never find yourself fumbling for your most used tools again. When you work in construction, wearing a tool vest can be difficult. When a harness is required to perform your job, it can get in the way of comfortably wearing a tool vest. The Vest-Tech High Visibility tool vest is built with construction workers in mind, with many useful features that ensure your safety while you work. Fitting your tool vest over your harness means that you’re often working with more bulk than you’re used to. The Vest-Tech tool vest is designed for use with a harness, and features buckles, clips and loops that allow for easier wear with a harness. There’s nothing worse than working all day long without hydration breaks, as this can lead to fatigue and dehydration. The Vest-Tech tool vest features a 2L hydration pouch that allows you to drink whenever you need to, ensuring your health and keeping you energized. Wearing a tool vest all day can cause strain on your body, so ensuring that you remain balanced is essential. The Vest-Tech tool vest is designed with an even weight distribution, allowing you to carry your tools properly with no risk of fatigue and strain. 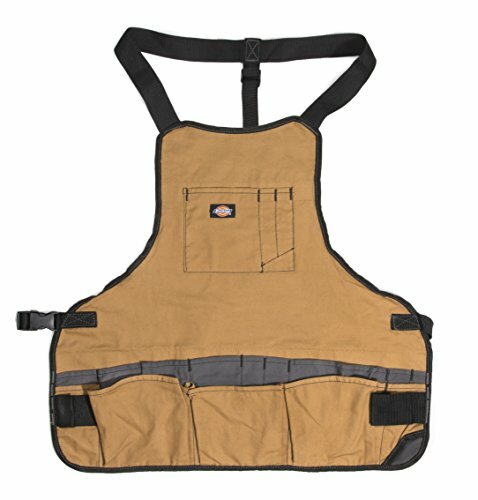 Working comfortably means that you may not want a vest in which to keep your tools. The Dickies Work Gear option is designed in a pocketed apron style accessory that is functional yet simplistic, giving you extra storage while allowing you to get on with your work. Just because your tool vest is simple, it doesn’t mean you’ll be forgoing the strength that you require to hold your tools. The Dickies Work Gear apron is made from tough yet flexible canvas that features reinforcements along the edges, giving you long lasting use. Though not a full tool vest, the Dickies apron certainly gives you options. The apron features a total of pockets distributed over the length of the apron. The pockets are reinforced with webbing, adding to the strength without increasing the weight. When you need to carry a lot of tools, there’s no need to look for fancy designs. Aside from the many pockets, the Dickies Work Gear apron features strong loops that allow you to hang your heavier tools such as your hammer. This list is not complete without a full tactical option for the active man. The Leapers tactical scenario vest is versatile enough to be used for carrying tools as well as providing the functionality and storage capability for a wide range of useful objects. There is no limit to the functionality of the Leapers tactical scenario vest. Featuring pockets perfectly sized for ammunition, as well as waterproof pockets for safe document storage, this vest will allow you to free your hands while giving you the ability to store everything you need. The Leapers tactical scenario vest is fitted with a full mesh back with straps that allow for easy wearing. Not only does this increase air flow, but it also gives you a means to store a hydration bladder so you can stay on the go for longer. The Leapers tactical scenario vest is built in a one size fits most design. The body of the vest features six points of adjustability in a unique, diagonal design, so that you can alter the fit for comfort no matter your body shape. 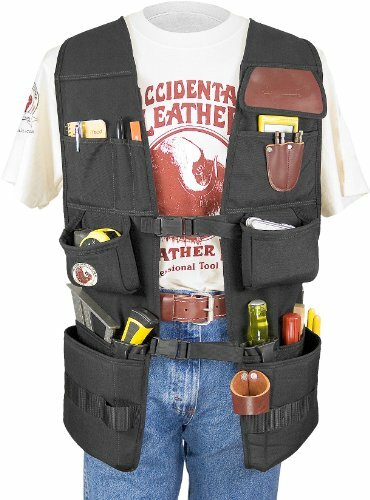 A tool vest is a great investment for the everyday worker, but organizing your tools within it can be a challenge. Here, we guide you through the best tools to keep in your new tool vest. Your primary tools are the ones that you use frequently throughout each day. A general duty hammer is a must-have, as they allow for multiple uses. Chalk lines, measuring tapes, pliers and a carpenter’s pencil are useful items that will see regular use in your workshop and fit snugly within the pockets of your vest. Any tool that works in combination with your primary tools are known as secondary tools, and include nails, chisels, fasteners and screwdrivers. Your secondary tools are placed on the opposite side of your vest to your primary tools which allows for easy use. Your tool belt is versatile enough to allow for the addition of extra tools. A drill can be slung through a loop on your vest, allowing for easy use. If you’d prefer not to store your hammer in a pocket, these items easily hang from your vest via the loops, as well. Before you buy your new tool vest, there are several important factors that you should consider. Each of the following factors will ensure that your new tool vest is comfortable and functional. The pockets are the driving factor of a tool vest, and you will find that the number of pockets you need will vary depending on your type of work. 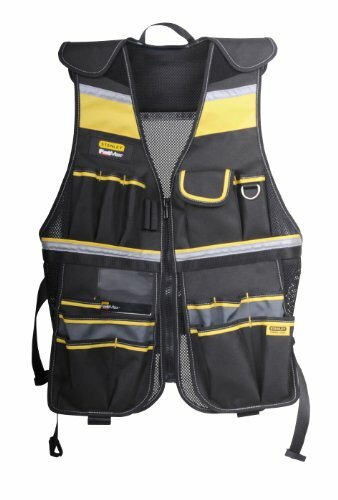 No matter whether you perform a wide variety of tasks at work or at home, he sure to choose a vest that can store all of the tools you use the most. You’ll often find that many workplaces have mandated regulations in regards to safety. It is therefore important that you choose a vest that features hi vis reflective materials that allow you to conform to these rules. Most tool vests will be constructed from strong materials, but these can often be thick and heavy. If you will be wearing the vest for hours at a time, then you’ll want to look for a design that features mesh fabric as this will give you more ventilation as you work. We all come in different shapes and sizes, so finding a tool vest that fits properly is essential. If you are taller or larger than average, be sure to look for a tool vest that features adjustable straps around the belt, as well as additional adjustability on the shoulders in order to customize the fit specifically to your body. Using a tool vest safely is essential for good workplace habits. There are several steps you can take to ensure the safety of yourself and those around you while using a tool vest. An ill-fitting tool vest can cause safety concerns while you work. If your tool vest is dropping or loose fitting, then it could get in the way which is a huge risk when you work with moving parts or heavy machinery. Make sure your vest fits properly before you start working. It’s very important that you restrain your tools while you are climbing. If you try to climb with something in your hand, this could increase your risk of falling. Your tool vest contains pockets and loops for all of your tools, so utilize them while you climb. Wearing a tool vest all day means wearing an extra layer on top of your clothes. It’s essential that you stay hydrated and reduce the risk of overheating. If you feel too hot, take a break and drink water. Many tool vests include hydration bladders, so be sure that it is full before you work. If you work in construction, then you are required to wear a safety harness. Be sure that your tool vest is appropriate to wear in combination with a harness, so that you can remain safe while you work. Getting the most out of your tool vest is easy when you take the following tips and tricks into consideration. Many tool vests are hand specific. If you’re right handed, then you’ll find that most tool vests are sufficient for your work. However, pay careful attention to your desired vest if you are left handed, as you may find that the pocket layout won’t accommodate your use. Wearing tools means that you place extra strain on your neck, back and shoulders. You can reduce strain by choosing a tool vest that features extra padding in the shoulder area, or one that is designed in a suspension style. 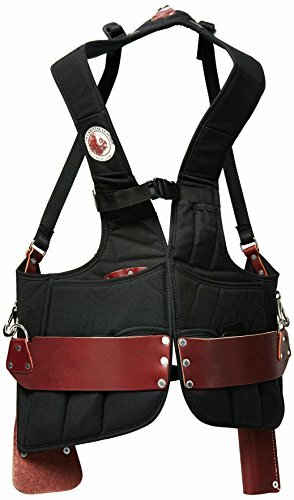 While most tool vests feature pockets on the front, you will notice that this will lead to more weight being carried on the front of your body. Instead, you can choose a tool belt that features a balanced design, so that you can ease the strain on your back and work with more comfort. You will reduce the time it takes you to find your tools if you place your main tools on your dominant side. Hammers, pliers and drills should always be carried on one side, while nails and screws and other smaller items should be carried on the other side. Q: How does a tool vest help me work? Tool vests are designed to allow you more freedom while you work. By putting your frequently used tools in the pockets, you won’t have to get up and rummage through your tool box anymore. Q: Are tool vests safety rated? 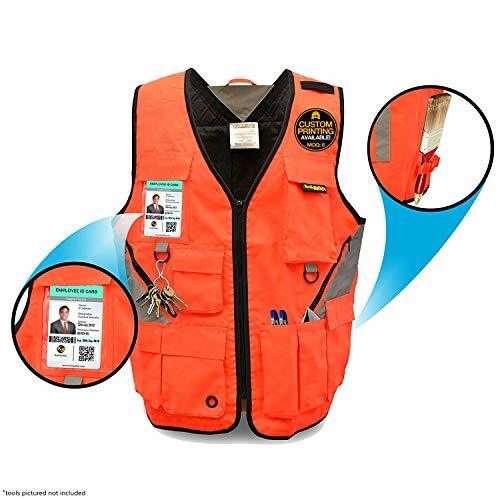 The governing bodies for workplace safety are different from region to region, so it’s likely that your tool vest won’t adhere to all standards. One common safety feature is hi vis, which ensures you’ll be seen and remain safe on a work site. Q: How do I choose my vest size? Often, you don’t need to do this. Most tool vests come with adjustable straps so that you can fit the vest to your specific size and shape. Q: Do I need a different kind of vest if I’m left handed? You may be more comfortable with a hand specific vest if you are left handed. Left handed vests will feature more pockets on the left side, making it easier for you to reach your tools. 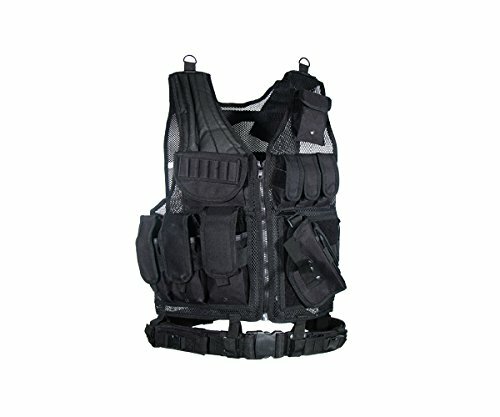 Q: How do I add more storage space to my vest? Most tool vests feature loops and straps that allow you to clip on additional pouches. You work hard each day, so finding the right tool vest is essential in working more productively. Which tool vest will make your life easier? We love the Occidental Leather SuspendaVest. Not only is it a small and sturdy design, but the suspension format makes wearing it much easier over longer periods of time. 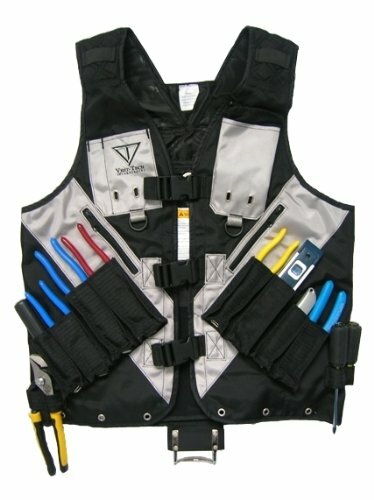 If you work with tools all day, then a tool vest is a smart option for increasing your work capacity. Reducing the amount of time that you spend reaching and looking for tools, your tool vest keeps everything you need conveniently close by. We hope that this review of the best tool vests has helped you to decide to make the most out of your work. I'm working as a Chief Editor. Really! Enjoy blogging and family travel. Also, Love to do some social work in free time.